If you hadn’t heard yet, 888 Sport is alive and well in New Jersey. It joined the market on Sept. 10, becoming the seventh online NJ sports betting site. The launch of 888 Sport marks the first time the well-known European sports betting company offers a complete suite of sports betting options in the US. Don’t know much about 888 Sport? Here’s a breakdown of the sportsbook app, its history, and the betting options and sports available. 888 Sport has more than 10 years of global online and mobile sports betting experience. That experience translates to a well-run operation and user-friendly platform. Bettors place bets via the 888 Sport website or the mobile app on Android. (An iOS app is unavailable for now.) Placing bets is a seamless process that makes the bet amount and the potential win very apparent. For the most part, 888 Sport is like any other NJ online sports betting app. This makes getting started fairly easy for new players at 888. However, if you are already a card-carrying member of 888 Casino or 888 Poker NJ, there’s nothing more you need to do. The three 888 sites are interconnected, with one account tying all of them together. 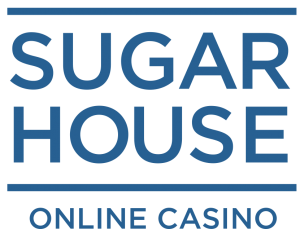 This makes it seamless for bettors to move around the NJ gambling site and experience all three online gambling types. Conveniently, each section of 888 is color coded: green for casino, blue for poker, and orange for sports betting. 888 Sport also has a substantial list of sports available for wagering. The company puts a greater emphasis on American sports for its NJ sports betting client, for obvious reasons. 888 Sport launched with an in-game betting option called “Bet Live.” Players can make a wager on specific in-game events at any time during the match. Live betting is fluid and as such the odds change based on how the game progresses. Bettors can also look for an exciting new feature by Kambi, 888 Sport’s partner. The Teaser+ feature recently received approval from the DGE. Teaser+ takes the popular teaser bet to a new level. A teaser bet contains multiple point spread options in one single bet. A teaser is attractive because the bettor can adjust the spreads to be more favorable, often resulting in a lower payout. In a regular Teaser bet, the adjustment applies to each wager in the teaser bet even if the matchups are not equal. The Teaser+ bet solves that problem by using alternative lines instead of a one-size-fits-all approach. The alternative lines take into account several variables about the matchup resulting in rates that are more reflective of the games in the bet. Fast forward to 2011, the company reached a partnership agreement with Caesars Interactive Entertainment to launch online gaming in Nevada pending regulation. It wasn’t until 2013 that 888 launched its US-facing sites. 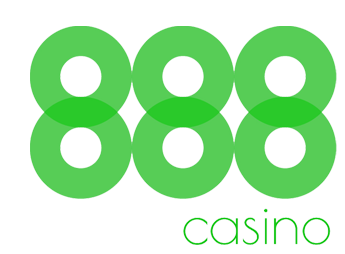 888 Poker is available in New Jersey, Nevada, and Delaware, and 888 Casino is available in NJ only. All three NJ-facing sites use the Caesars Atlantic City online gambling license to operate. It is no surprise that the company expanded its agreement with Caesars to bring 888 Sport to the Garden State. To facilitate the launch, it also expanded its longtime partnership with the company’s global sportsbook provider, Kambi, as mentioned above. Frieberger touted 888’s accomplishment at being the only operator in all three regulated US online gambling markets. 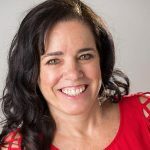 “888 has been committed to developing its position in the US since launching in Nevada, the first regulated US state, nearly six years ago and today we are the only operator with a presence in all three regulated US states. Of course, as with all New Jersey online and mobile sports betting providers, bettors must be in New Jersey to place a bet at 888 Sport.